Each year I spend a special day with a friend during the run up to Christmas. In the past we’ve gone on a hike and had a lunch or combined with something cultural. Last year we hiked along the River Wharfe and ended up with lunch at The Devonshire Fell Hotel at Burnsall. In previous years we’ve been to The Yorkshire Sculpture Park where it’s possible to walk for a few miles before taking lunch in their lovely light and airy first floor restaurant. This year was no exception but instead of the walk/hike part we took the train to Manchester and visited The Manchester Art Gallery which is currently showing a Ford Madox Brown exhibition; subtitled “Pre-Raphaelite Pioneer”. 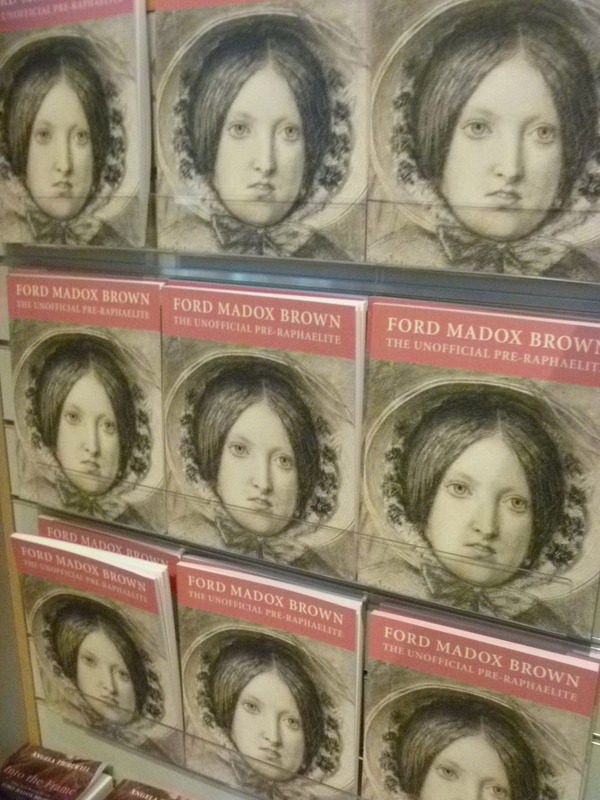 Earlier this year I met with friends for an Art Fund visit to the city which included a tour of The John Rylands Library and should have included a visit to the Ford Madox Brown murals in Manchester Town Hall. However another event took precedence over ours and we had to make do with a ‘Behind the Scenes’ tour of the town hall. During the 1990s I did a course in Victorian Studies which included a Victorian Art module. I can’t say that I love the Pre-Raphaelites but I did find the study of nineteenth century paintings interesting because they are laden with symbolism. 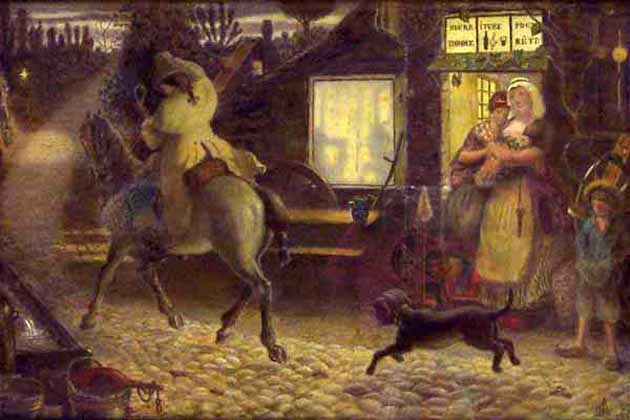 Ford Madox Brown (1821-1893) was never a member of the Pre-Raphaelite Brotherhood but he did influence them through his ‘primitive simplicity’ style of the age before Raphael. Emma Hill (Study for The Last of England) 1852. 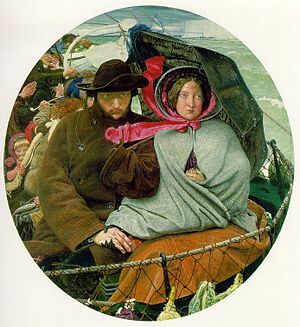 Ford Madox Brown produced a prodigious amount of work in many forms and media. There are some beautiful sketches and drawings and several very famous paintings many of which are from the Gallery’s own collections, from the University of Manchester’s Whitworth Gallery and Birmingham Art Gallery. 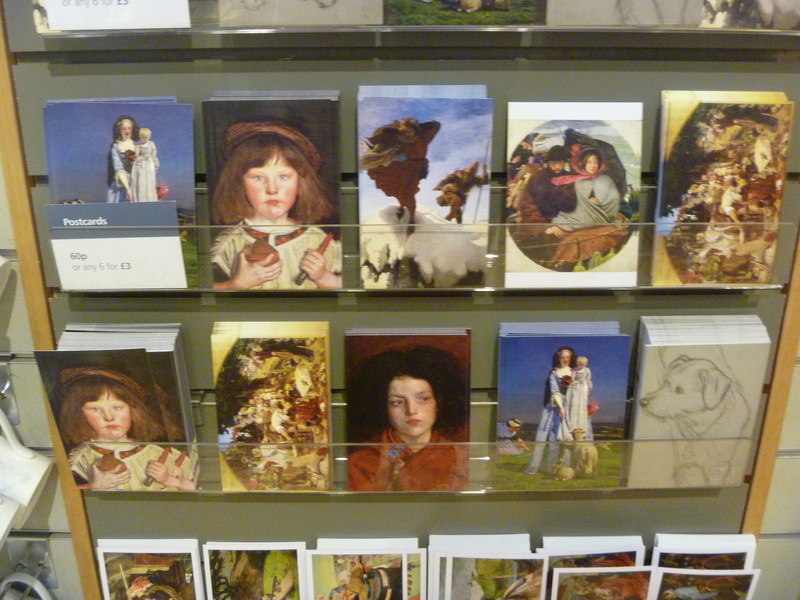 The most famous and featured here are Work and The Last of England (above). The exhibition is divided into themes around FMB’s life and work including: The Artist and His Family, The Early Period, The Change of Direction, The Landscape Painter and The Portrait Painter. Perhaps of most interest to me was The Storyteller theme where the drawings and paintings depict characters from literature as in his King Lear series of drawings and his paintings of the origins of literature – Geoffrey Chaucer reading the ‘Legend of Custance’ to Edward III and his Court and Wycliffe Reading his Translation of the Bible. 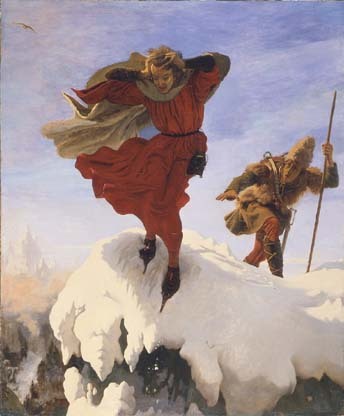 There are illustrations from the works of Lord Byron; significantly his Manfred on the Jungfrau and from Victor Hugo’s poem ‘A un passant’ – The traveller. On our way out of the gallery we caught sight of a new Grayson Perry exhibit so looks like I may be making a trip back to Manchester in the new year. Who knows? 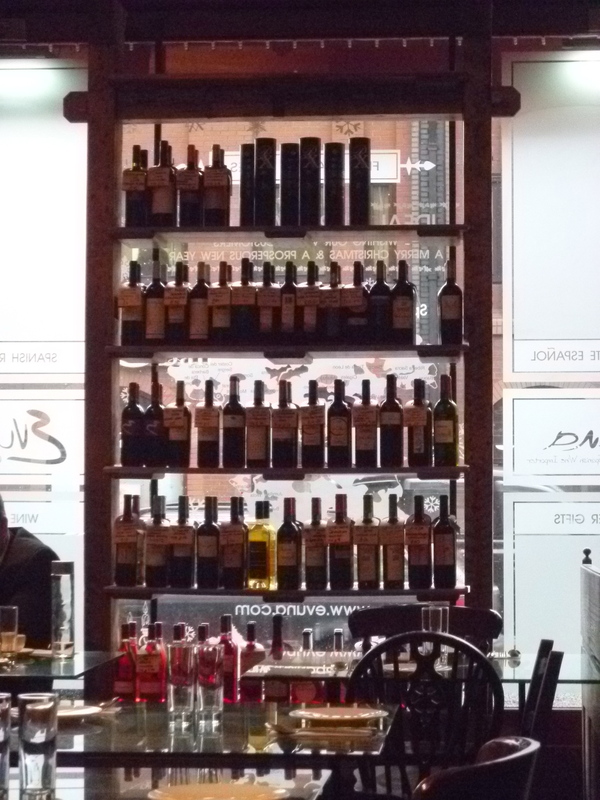 And as we left the gallery the heavens opened and we made a mad dash for the tapas bar – Evuna – a couple of streets away where our weather woes were soon forgotten! On our way home though we did express our relief to each other that we had chosen to spend our day in a gallery rather than on the hills – we got wet enough without! This entry was posted in Milady gets culture, Milady travels at home and tagged Art Galleries, Manchester. Right, well now I am just plain green with envy! What a wonderful visit Barbara and if only I’d know I’d have put in a postcard order with you!! I have always thought the bright chalky blue on the Pretty Baa Lambs must be stunning to see since my days of studying it for an OU course years ago, and Work was an analysis question in the exam so I feel I know them both really intimately…a feeling you will know from studying them too, which makes it really special to see them for real. We did a special trip to the Tate this year to see the ones that were in storage last time I went. Whatever you think about the Pre-Raphs ( I’m a huge fan) there’s no denying they knew something about colour and composition, and as you say all that wonderful symbolism. Oh yes, Lynne. No reproduction can come near to doing justice to the real thing. The colours in the Pretty Baa Lambs are just stunning. So really the postcards are always a disappointment straight after the real thing. But the shop is the only place you may take snaps. I did buy one card and am happy to send it to you. You will guess it’s another place we both love! It was so interesting to see the drawings and preparations that went into producing just one finished work. It was extremely stormy that day too. As it is here this evening. So you are not alone with the wind and rain battering. Thanks again for your comments! Through you, I can travel, visit, see, learn, enjoy, watch, have tapas … and get wet …while sitting comfy at my desk !!! Happy to make life a little easier for you! !